Portable LED water wave strobe light with multiple modes: Flash for strobe effect, Sound activated for music, Auto for 7 colors rotating. besides,Motion Speed +/- and lots of color options for you to set. 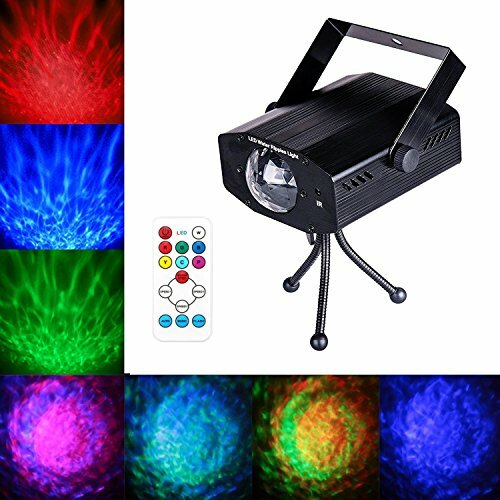 Sound activated strobe dj lights come with handy wireless remote controller , you can remotely set the light color, flashing mode or motion speed+/- according to your personally preference. 100% Satisfaction Guarantee: If you received a damaged product, please contact us for a new one, we provide one year warranty to assure your satisfaction.